with a trip to the Motte Historical Museum in scenic Menifee, CA. 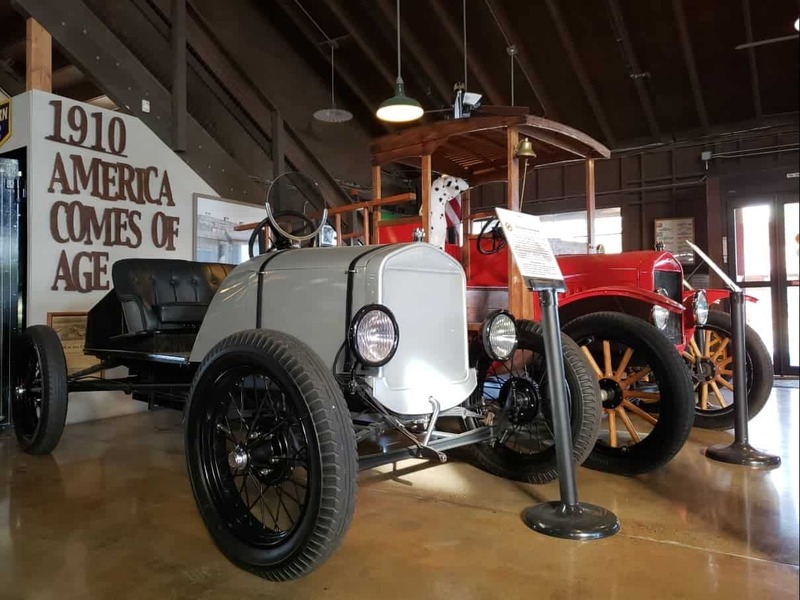 The odds are pretty good that you’ve not heard of the Motte Historical Car Museum in Menifee. But if you have heard of it, and been there then you’d surely agree it’s well worth the trip. 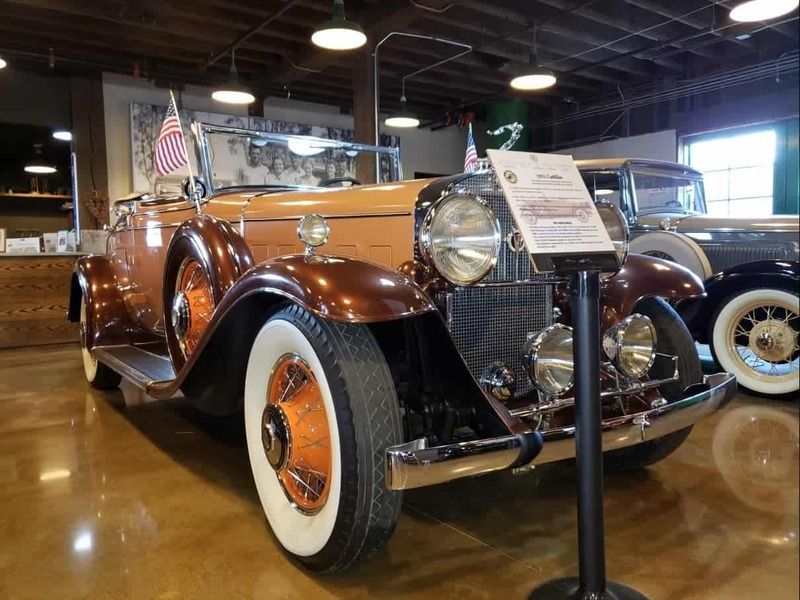 The city in Southwestern Riverside County plays host to a cozy museum with a collection of very cool classic cars. And they’re displayed in a building that, while fully restored as well, helps turn back the hands of time just like the vehicles it houses. Who else but our own Professor, Clinton Quan, made the recent trip and shares the complete report in this iDriveSoCal Podcast. Click play below and take a look at some of the classic beauties he spotted during his trip. Tom Smith: Made me think Great Gatsby. Tom Smith: Like, that time period, right? Tom Smith: Welcome to iDriveSoCal, the podcast. All about mobility, from the automotive capital of the United States, Southern California. Tom Smith here with the good Professor, Mr. Clinton Quan. Say hello, Clinton. I don’t know. We’ve almost come to a year of doing the iDriveSoCal podcast and you’re still surprising me with some of these little pocket events in museums and whatnot that you find. Professor: I’ll try. But I think a lot of people are really surprised at how many car museums and automotive events in Southern California. Tom Smith: There’s so much. Tom Smith: Yeah, all you got to do it look and you can keep yourself busy year-round. Professor: You could say that. Tom Smith: Okay. I’m making myself laugh because I’m thinking about other… And whatever. So as we have been, your go-to place. iDriveSoCal.com. Tom Smith: Yeah, your resource. Thank you. But not only automotive but also the future of mobility. And a lot of the future of mobility is… Well, we’ll see what it’s gonna be, but it’s an exciting time, right? Tom Smith: But for always and all time, there’s going to be a large segment of the population that happens to be in love with cars. Cars that are coming out of manufacturers right now, rolling off the assembly lines right now, and for some time to come. For a long time to come, and certainly, the history. Tom Smith: And this is the Motte Historical Museum, out in Menifee, California, which I guess that’s considered Inland Empire? Professor: I believe that is considered the Inland Empire. It’s a little east of the city of Perris, which is spelled P-E-R-R-I-S. Professor: Not to be confused with what everyone assumes. Tom Smith: Of course, of course. I’ve buzzed by there and I know that I’ve buzzed by Perris, as well as Menifee, and I don’t know what else comes to mind for Menifee, but I know I’ve been through both. Professor: Yeah, it’s off the 215. Tom Smith: Okay. So, the Motte Historical Museum has… First off, the museum itself is really old and cool looking. Professor: Yeah, it looks like a barn. Tom Smith: From the pictures that you shared, yeah. And so that’s really neat, and the collection is really neat, too. Do they define their collection? It seems to be ’20s to ’30s, maybe ’40s? Professor: I think that’s a good description. 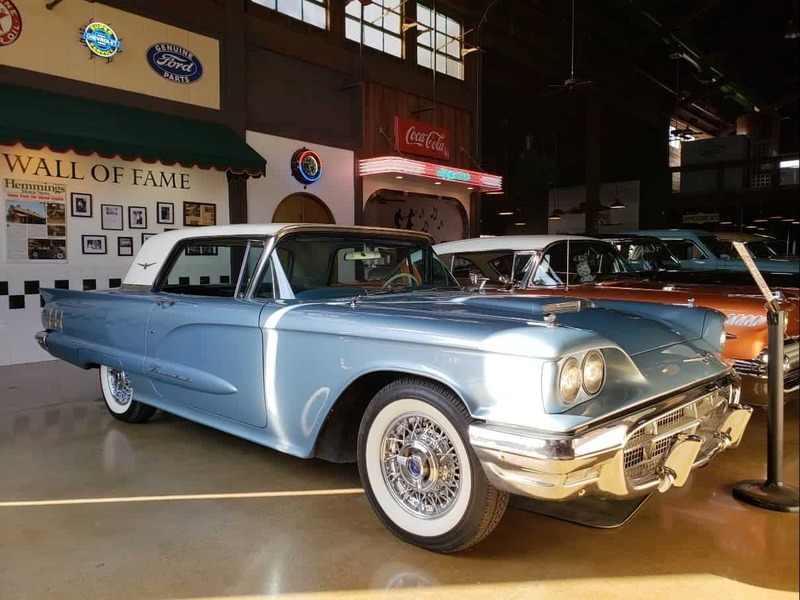 Tom Smith: But there’s a Thunderbird that had to be from the ’50s that I saw in the pictures. Professor: Yeah. It’s probably ’50s, ’60s. Professor: Yeah, Motte Classic Cars. Tom Smith: You know what? I’m stealing your thunder. You tell me about it. Professor: Well, the Motte brothers, they were in the agriculture business. Tom Smith: Oranges or something, out here? Or do you know what? Tom Smith: Lot of orange groves out there? Professor: There’s a lot of orange groves out there. Professor: Yeah, in fact, I believe it’s a state park that’s dedicated to the citrus fruit. Tom Smith: Okay. You grew up here. I did not, so I get a pass on that lack of knowledge. Professor: Yes, you do. Yeah, so going back to the museum, I think they started their collection back in the 1950s. 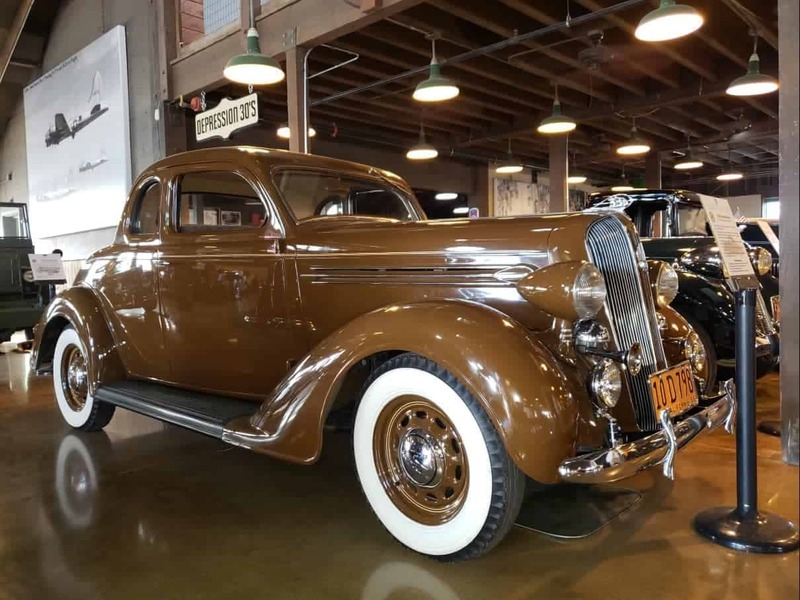 They purchased an old Chevrolet and that was the start of the collection and there are about 24 vehicles currently on display in the museum. They do have more vehicles that they store elsewhere, and they’ll rotate the cars from time to time. Professor: It is used as a special events venue, so they do have a number of other special events, including weddings. It’s a popular wedding venue. If you check out the website, you’ll see some wedding photos, as well. So, if they take the vehicles out and they leave some of them inside, it’s a great place to host a cocktail reception, as well. Tom Smith: All right. 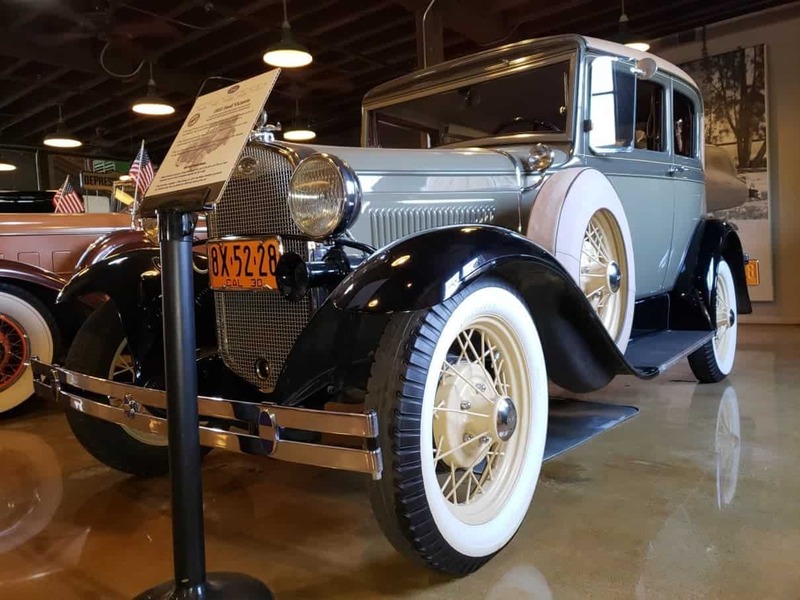 And the cars that they have, again, going back to… Would you say the oldest is… I mean, those hot rods had to be like 1920s? Professor: Oh, I think there were some cars. There’s definitely cars from the 1920s, I believe. Professor: Right in the center of the museum. Tom Smith: And rightfully so. I mean, that thing’s gorgeous. Professor: Yeah, caught my attention right away. Tom Smith: I think I saw the placard that said it was a 1937. Professor: Okay, that sounds right. Tom Smith: Yeah, it immediately made me think Great Gatsby. Professor: Yeah, it could include that time period, as well. Tom Smith: And a little bit before, a little bit after. Tom Smith: On both sides. Excuse me. Professor: They also had some hot rods, as well. Professor: Yeah, remember the photo? Three hot rods. Tom Smith: Oh, yeah, yeah, yeah. Okay, gotcha. But that had to be ’20s. Tom Smith: It wasn’t American Graffiti hot rod kind of thing. 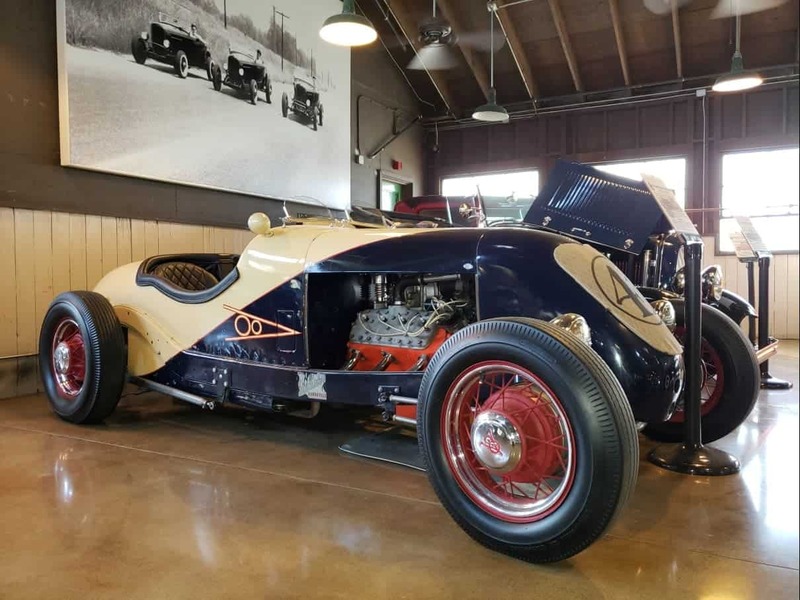 Tom Smith: Okay, so it being called the Motte Historical Museum, were there other pieces of history that were on display, or is it really all automotive? Professor: It is pretty much an all-automotive museum. Professor: Now, there is a second floor to the museum. It doesn’t take up the entire space of the museum, and they do talk about the history of the Motte brothers and their influence in the valley, in that area. Tom Smith: And of course, you focused on absolutely none of that, because you were completely enthralled with the cars, right? Professor: It’s interesting you use that word “enthralled,” because that came to mind, as well. I was thinking the exact same thing. Yes, that is 100% correct. Tom Smith: See, if I had gone there, I would look at the cars. I would take pictures. I would read up on them because I have to read all the placards at a museum. But then I would definitely go read about the guys behind the museum, as well. But that’s how you and I are a little bit different. Tom Smith: And then she went back to her game on her mobile device that she was playing. Professor: Either that or reading or doing something. Tom Smith: Okay, perfect. Now, the venue, as you said, sure, it can be rented, whatever else. But it’s one of these museums like the Marconi, where it’s open only certain times during the week, throughout the year, yeah? Professor: Well, they’re open Wednesday to Sunday, so they’re only closed Monday and Tuesday. Tom Smith: Oh, okay. So you got the weekends all the time? Professor: Yeah, you got the weekends all the time and then you got Wednesday, Thursday, Friday. Tom Smith: Is there a fee to get in? Professor: It is complimentary. There is no fee. Tom Smith: Okay. Not even like a donation box, if you wanted to kick in a couple of bucks or something? Professor: I’m sure there’s a donation box. Tom Smith: Everybody’s got a donation box. Professor: The hours are ten to four. Professor: Ten to four, Wednesday to Sunday. Professor: And their one big annual event is The Big Barn Classic Car Show, and that takes place the last weekend in April. I believe it’s a Saturday. 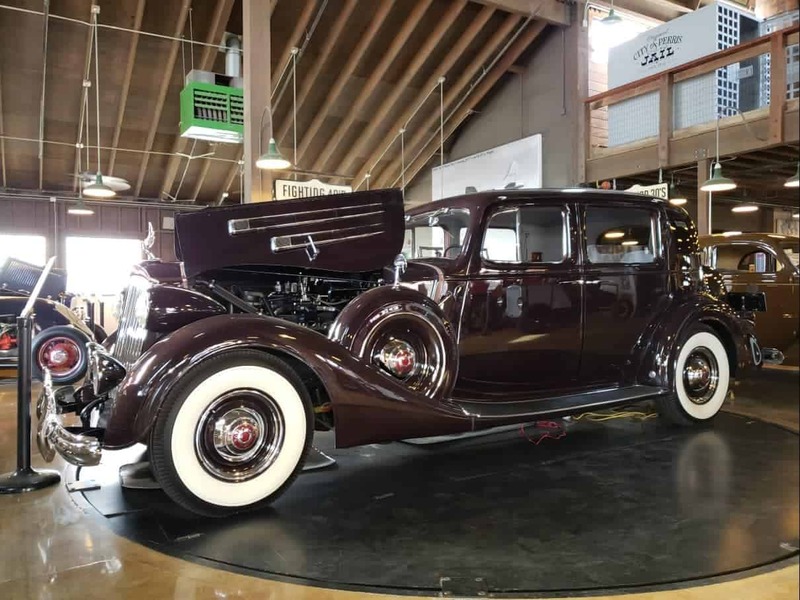 Tom Smith: Big Barn Classic Car Show? Professor: Yeah. That’s their one big annual event. Tom Smith: All right. What goes on then? Professor: They have a number of classic cars. Tom Smith: They show cars. 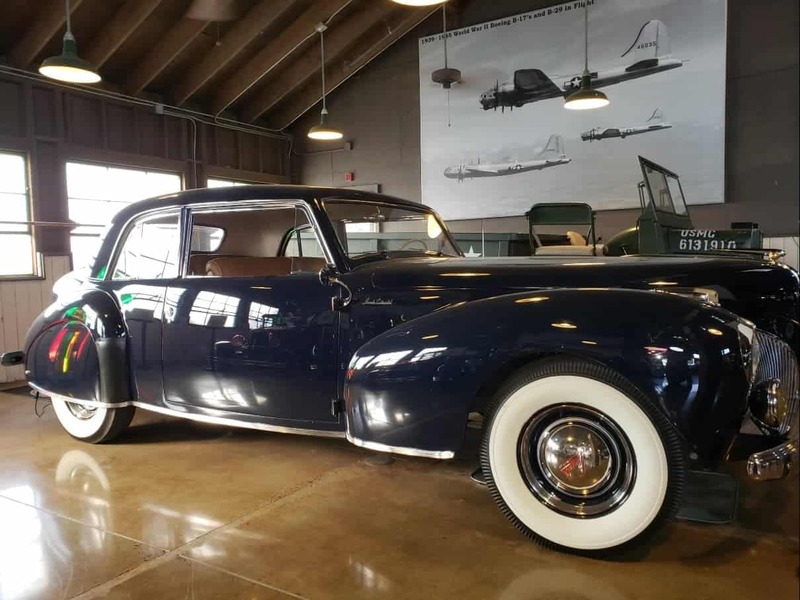 Professor: They have a number of classic cars from, I’m sure, a lot of people who live in Inland Empire and they want to show off their passion for their classic cars. Tom Smith: All right, there you have it. Now, you’ve been to this museum before. Professor: Yes, I’ve been there once before. Tom Smith: Only one time before? Professor: Only one other time. Tom Smith: And this was something that you did while you were on a test drive for one of our partners, right? Tom Smith: Okay, and that would be our good friends out in the Los Angeles suburb of Fontana, California, Rock Honda. It was a vehicle review for the 2019 Honda Civic Coupe, which is a good-looking redesigned vehicle, right? Tom Smith: And we’ll save the rest of that for another, but what else about the Motte Historical Museum in Menifee, California, if you have anything else to share? Professor: Oh, one other thing. They do have another event that will be coming up in February. It will be their open house. Professor: Yeah, and that will be from … I believe that’s the ninth if I remember correctly, and it’s from ten to two. Tom Smith: Okay, is that on a Saturday or Sunday, most likely? Professor: Oh yes. That would definitely be on a weekend. Tom Smith: Okay. And auto shows, auto museums, always good family-friendly fun, and this looks like a really neat one, too. 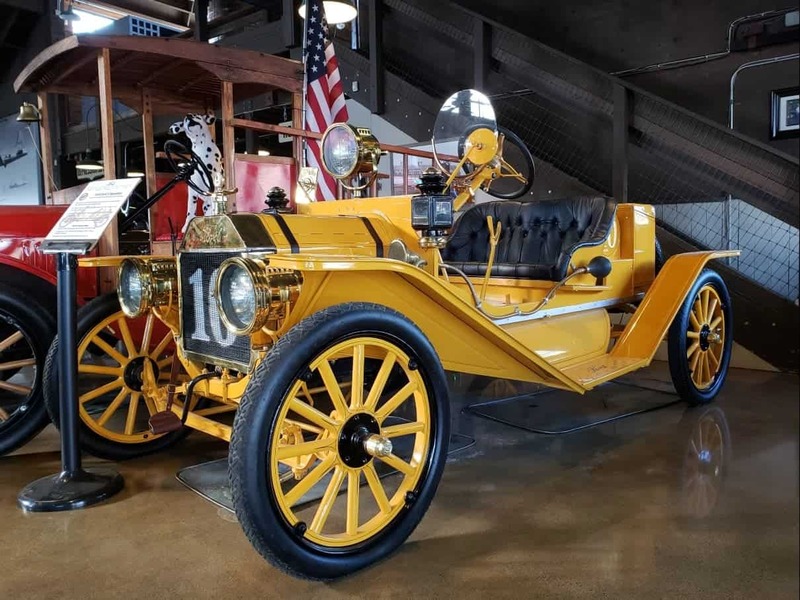 It looks like one that I’ll have to be stopping by because I love… Going to see the historical vehicles at a Petersen Automotive Museum is cool. Tom Smith: Because they have some amazing vehicles. But then the environment is state of the art. Is the building just made to look old, or is it actually old? Or do you know? Professor: I believe it is actually old, yes. Tom Smith: Because it looks like it’s in an old barn that’s been updated, converted, whatever. 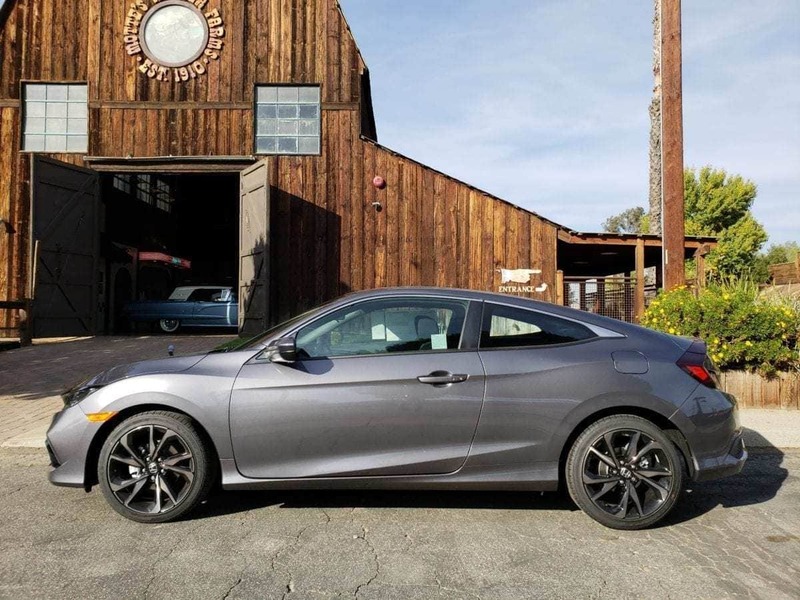 Ok, the car is a brand new 2019 Honda Civic Coupe from Rock Honda but check out that historic barn! Tom Smith: And it’s just a neat, neat space. So not to plug you guys, but hey, why not? It’s such a neat space. It would be a cool space for an event, such as a wedding or whatnot. But honestly, didn’t mean to be a commercial for events at the Motte Historical Museum. But a cool spot, nonetheless. So, Professor, are you good? Tom Smith: All right. 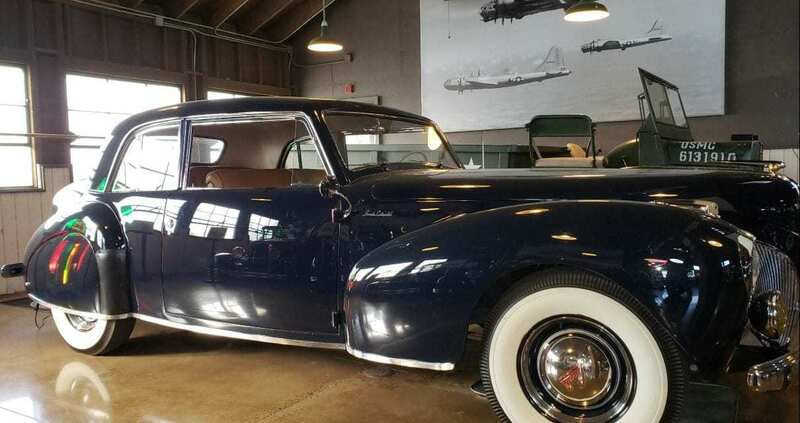 Thank you, as always, good Professor, for your expert analysis, in this case of a Southern California automotive museum, again, the Motte Historical Museum in Menifee, California. For iDriveSoCal, I am Tom Smith. As always, thank you so much for tuning in. Orange County Auto Show – Test Drive Pressure Free!